Selling Your Home? You will need a Disclosure Package. Virginia law requires the seller of a property in a planned community to provide an association disclosure package to a prospective buyer. Once you have a signed contract or offer, you will need to order a disclosure package from the Meadowbrook Farm Homeowners’ Association. 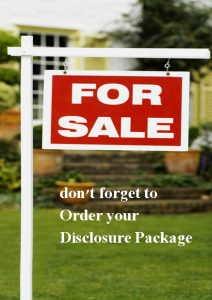 Disclosure Package Fee $100.00.